Did you know that this line originally came from a story by Edward George Bulwer-Lytton (who definitely needed a pen name because if he had a fairly successful autographing, his fingers would go numb from signing his name). That phrase is from the 1830's and from Paul Clifford (a book I've never heard of until this morning when I was playing around on my computer). Here's the sentence, a little meandering but famous none the less. 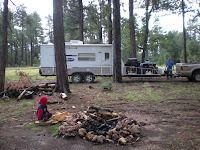 Okay, we went camping over Memorial Day (see Monday's post). I've learned from being in a family of men, that I should take a book everywhere. Yup, even on 50 mile long quad rides. See, the men stop, they throw rocks in ponds (I'll do this). They catch snakes (I won't do this and keep in mind some of the men are really boys, or at least men who are boys at heart) and they'll nap... right on the quads. Me? I can only throw so many rocks. Snakes, not scared of them... will touch them... but why? Naps? Give me a bed. So, I take a book. Here's a picture of me reading Ginny Smith's Scent of Murder. I am in the middle of nowhere and love it (both the nowhere and the book). During a record setting blizzard, police in my hometown were searching for a murder weapon. The murder happened a few blocks from my home, and I couldn't help but wonder which of our six-foot piles of snow would melt and reveal the murder weapon. I can take a perfectly normal thunderstorm and turn it into a crime scene. When involved in an automobile accident, I immediately began trying to figure out how to work it into a book. On my way home from work, I see police, with guns drawn, creeping around a fraternity house and my brain starts churning. What is happening inside? Is it a hostage situation? A burglary? Sitting in our family room, I see what looks like someone signaling a neighbor with a flashlight and wonder if it's a drug deal going down. (Couldn't have anything to do with seeing a female dive into a neighbor's basement window after acting suspiciously.) It turned out the lights were from unusually heavy traffic two streets away. It doesn't stop with me, however, a friend became suspicious when seeing two young men in a secluded field with shovels and an infant in a car seat late one spring evening. This went on for days. Turned out, they were "building" a dirt bike track, and our taking action on our suspicions put an end to their illegal project on private property. At a restaurant, I hear a baby babbling, and am convinced that it's my 8-month-old grandson's voice. I text my police officer son and ask for his location. He doesn't answer, so I begin to investigate. Stealthily, I peruse the restaurant, and find the suspect voice AND my adorable grandson. Writers weave bits and pieces of their lives into their books. A snippet of conversation, an act of bravery or a favorite location often find a home in the stories I write. I’m a medical technologist and diseases fascinate me so when Pat told me about Eva’s long and courageous struggle with Von Hippel-Lindau disease, I did some research and soon learned tumors—actually clusters of capillaries—appear sporadically in VHL patients. Initially, they attack various organs such as the retina or spinal cord or adrenal gland. The tumors must be surgical removed and sometimes result in debilitation, such as blindness or paralyses. While benign at the onset, once they attack the kidneys, the tumors turn malignant and can lead to death. 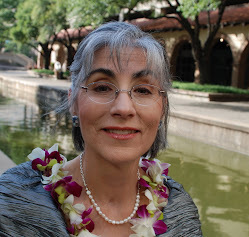 Throughout her lifetime, Eva had seven surgeries to remove growths in her body. Physicians at The National Institute of Health followed her and eight other members of her family who had the genetically acquired condition. Medical researchers believe that by studying VHL they will someday learn better ways to treat other cancers as well. My friend Pat hosted a birthday party--a celebration of life party--for Eva shortly before her death. I met Eva that night, and her heroic determination inspired me to write PROTECTING HER CHILD. I hope my fictional tale will increase awareness about the disease as well as honor Eva and all of those who struggle with cancer. On a lighter note, I set part of the story in Savannah’s beautiful historic district as well as the rural Georgia coast south of the city. Whenever in the area, my family and I always stop at the Sunbury Crab Company, a rustic waterfront restaurant in Sunbury, GA, which was the Dock House Restaurant in my book. While feasting on buckets of steamed blue crabs pulled fresh from the ocean, we watch the sun set over the low country and reflect on how good life is in Georgia. 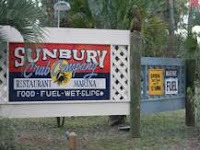 Next time you visit that neck of the woods, head to Sunbury (www.sunburycrabco.com) for the best seafood in the South. It’s a treat you won’t forget. If you’re a writer, post a comment and share how much of you own life experiences are reflected in your books. As a reader, do you try to separate fact from fiction in the stories you read? Leave your email address to be placed in the drawing for a copy of my current release, PROTECTING HER CHILD. 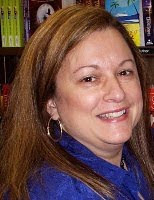 Visit Debby online at www.DebbyGiusti.com, blog with her at www.ladiesofsuspense.blogspot.com and www.seekerville.blogspot.com. 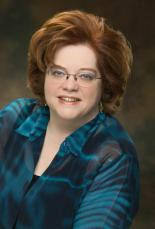 Eva’s sister, Peggy Marshall, started www.vhlconnections.org as a source of information and support for those with VHL. To learn more about the work they do, contact Peggy at vhlconnections@bellsouth.net. Recently a question was posed to me. How do you get the courage to confront your fear? Fear can come at us in some interesting ways. Boldly, like a car bearing down on you, making your heart race and you scramble for some way to escape. Or quietly, like a thief in the night, sneaky and subtle, robbing you of any sense of peace. 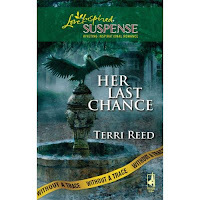 and in my upcoming June release, Her Last Chance, my heroine has amnesia and doesn't know why someone wants her dead. But what about fear that doesn't have to do with circumstances beyond our control? Like the fear of commitment, or the fear of success? The fear of being hurt or rejected? The Bible teaches us that fear is not from God. I think this refers to the internal fears we battle, not the situational fears of our circumstances. Sometimes walking through the fear is the way to find God's purpose for our lives. Sometimes fear is a signal from God that this is the path He wants us to take. So in answer to the question: How do you get your courage to confront your fear? I look to God's word. In the book of Isaiah chapter 41 verse 10, this is God's answer to fear. It didn't dawn on me until I was going down my to-do list that I had Memorial Day as a blog day. Nope. There I was, sitting at my computer (deleting all the junk mail: no I don't want 29 flowers for just 15.99. No I don't want a Criminal Justice degree from an online collage that misspelled college, no I don't want to buy online drugs or wigs or anything else) and I looked over at my calendar. This is really all Barbara Phinney's fault. 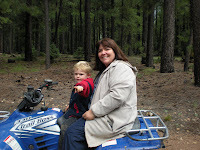 See, she posted about camping last Wednesday, and I figured that was a nudge for me to start my to-do list for camping. We leave tomor row. I think a writer's to-do list for camping is different than anyone else. Husband: mow lawn; Wife: write blog in advance. Husband: pack food; Wife: pack laptop. Well, you get the idea. Then, there's camping. Husband: sleep late; Wife: get up early and write. Husband: eat big breakfast: Wife: wish there was a toaster for my poptart! Together: quad ride. Then... Husband: nap; Wife: write. Of course, we have a four year old, so I can add one more thing. Husband: sleep late; son: sleep late; Wife: get up early and write. Husband: eat big breakfast; Son: make a mess at breakfast. All this surely means that God has blessed me this Memorial Day. A blue sundress and white sandals. That's what seven-year-old Carly Bradford was wearing…right before she disappeared. Three months later, Dee Kelley spots the sandals in the woods and knows she's uncovered evidence. Dee lost her husband and child—she won't let another mother suffer as she did. She will help police chief Tyler Madison find Carly, whether he wants her assistance or not. But Tyler isn't the only one determined to keep Dee off the case. And evidence isn't all that she'll find waiting for her in the woods. Since my birthday falls on Memorial Day weekend every year, I like to take the time to do things I don't normally do, like reading and seeing a great movie. We're off to see the new Terminator movie tonight. (We saw Star Trek already and it was awesome.) But even though my shelves are filled with books I haven't yet read, I figured I'd put the call out to you readers to ask about the great books you've read recently. I know part of my weekend will be spent doing line edits for my upcoming book Yuletide Protector, which will be published 12/09. But some of it will be spent reading by the lake while the family takes the raft out for their first spin of the season. So help me out. What books are you reading? 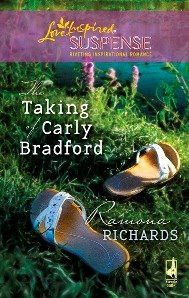 In May, we celebrate moms, so I was thrilled that my new book, The Taking of Carly Bradford, releases this month. Mothers are pivotal characters IN the story, but they were also pivotal in the WRITING of it. Since the main suspense in the book is not about whether Carly is alive but whether she’ll be found before she disappears forever, I asked them if would help if the reader knew pretty early about that. They loved the idea, and so did my editor. So this beautiful eight-year-old girl, Carly, became one of my primary characters in the book, with her own segments, her own prayers, and her own subplot. The result astonished both my readers – and me! I’ve had a lot of people tell me they fell totally in love with the girl who never gave up on God or the belief He would send someone rescue her. They cheered on the hero and heroine, Tyler and Dee, but they rejoiced in each section of Carly’s tale. Sometimes, a little child leads us . . . but it’s a mom who’s behind her, holding the lantern that shows the way. What it means to a writer. Last Monday we in Canada celebrated Queen Victoria's birthday. Most of us get the day off, but just as importantly, it's the unofficial kick off to summer. I hear that many in the US think the same way about Memorial Day. Take my brother in law for example. To him, summer means barbecuing. He serves up grilled chicken and those delicious sausages with cheese in them, and juicy homemade hamburgers. To him, summer has started. Gotta love a guy like that! To me? I'm a writer. I'll have my head deep in murder and mystery and like Margaret said earlier this week, deadlines. I have two deadlines this summer. I'll be attending a big writers' conference this too. And I want to write a devotional. It's going to be hard. We have a short camping season here, and I love to camp. Well, I've got it solved. I'll burn the midnight oil during the week, and when we camp on the weekends, I'll lounge in a folding chaise, with sunglasses and a cold drink and grunt out the occasional word in my sleep to my fanily and friends, just to show them that I'm listening and not sleeping. Of course the ruse will be up when I sleep through the aforementioned barbecue. What a beautiful day! Brilliant sunshine, 72 degrees, bright blue sky. Here in the Midwest, it's so lush and green with all the rain we get--a thousand different shades of green, fragrant with damp earth and just-cut alfalfa and lilacs. No matter where we travel, coming home to this verdant place fills me with such a sense of peace. We live out in the country, and my office windows look out on our wood-fenced corrals and the pastures beyond, where the four horses are grazing, their new, summer-slick coats gleaming in the sunshine. Across the fence, four beautiful, wildly marked paint foals are romping in the neighbor's pastures--providing no end of amusement to our border collies, who are safely contained on our deck. Elmo, in particular, is a study in total concentration. Head low, ears pricked, body crouched, he stares at them for hours on end, his intensity deepening when they scatter (how dare they!) Our son Brian says we need to buy two sheep, so Elmo can spend his days keeping them together. He is a dog with a mission--but one without a job. Which got me thinking, this morning. Elmo knows what he is and what he needs to do. He never loses sight of that, even though he can't get close to anything he can herd. What about the rest of us...are we blessed with direction and determination from the beginning? Have we followed through? Or have some of us come across our true desires later in life? My daughter is already determined to be a writer. I have no doubt that she has the drive and ability, and that she can reach her goal if she stays on that course. I didn't start writing until we had grade-school aged children....and wish I'd started much, much sooner. How about you? What would you love to do? Have you followed your heart? Become what you want to be? Is there something you could do toward that goal now, even if it can't be achieved any time soon? This past month I've had a lot of deadlines--some I knew about for months and a few others that popped up. I felt overwhelmed and swamped. I know that is redundant, but you get the picture--busy, busy. As I was thinking about those deadlines, I came to hate the word, deadline. It isn't a word that allows you to think peaceful thoughts. Dead--nothing peaceful about that. 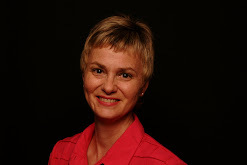 I think or corpses--remember I'm a romantic suspense writer. Even line is so definite--linear, no give or take there. So my question to you is what would be a better word for a deadline. How about Next Day Celebration? Or Goal Achieving Line--oh, wait, I've got that word line again. Now you see why I need your help. What's a better term for what we refer to as the dreaded deadline? Tell you a secret. I never did like them in school either. I have asked some people who visit my personal blog and I have gotten some good contenders. What do you all think about: live line, goal line, target line, finish line? So what do you say, let's change the way we think. No more deadlines. How about finish line or goal line? 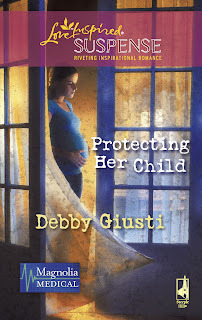 Today we're welcoming Pete Worth, the hero of PROTECTING HER CHILD, by Debby Giusti, May 2009. Wow, you've just had quite an adventure. Everything happens for a reason, and looking back, it’s easy to see God’s hand was guiding me. Growing up, Eve had been like a mother to me so when I saw her struggling I had to help. That meant trying to find the daughter she gave up for adoption twenty-four years ago. Young and unmarried, Eve had been forced to comply with her parents’ demand to find a home for the baby. At the time, no one knew Von Hippel-Lindau Disease would produce tumors throughout Eve’s body, eventually turning malignant. As much as Eve wanted to reconnect with her daughter, she also needed to warn Meredith about the life-threatening illness she may have inherited. I went into research to find answers to VHL and to help all those who suffer from the disease, especially Eve. 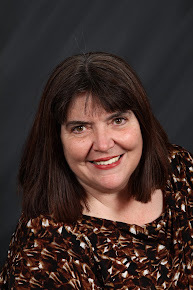 When I found Meredith – a pregnant widow on the run – I knew my main priority was to keep her safe from both VHL and the men who wanted her dead. 2. So, during the book you met Meredith Lassiter. Tell us a bit about her. What was your first impression? When did you know it was love? What’s Meredith like? Her smile reminds me of sunshine and soft, summer breezes over the South Georgia seaside where we first met. She makes my soul sing and my spirit soar, and without her I’d be lost. But she’s also strong and resourceful as well as determined and committed to protecting those she loves. I fell in love with Meredith the instant I saw her, although I didn’t know it at the time. I just knew she was special and made me feel like I could and would do anything to keep her and her unborn child safe. As I said, my background’s medical research, and I’ve been in the military so I can take care of myself, which helped when Meredith and I were on the run. Because of what happened in the past, I’d always been a loner and carried some of the bitterness of that earlier time with me. By saving Meredith, I was also able to save myself. Once I learned the truth, I had my own healing of sorts. My weakness had been my stubborn independence. When I met Meredith all that changed. I need her in my life. Actually, the way I feel now is that she is my life. Not knowing whether Meredith had VHL scared me, and of course, when her life was in danger and I couldn’t find her, I didn’t know what to do. That’s when I had to turn to God. Since then, I’ve put my trust in Him. If I could go back in time, I never would have broken ties with Eve. She had been so important to me as a child, but my own pain and hurt got in the way. Probably pride too. At the onset of the story, I didn’t need God. I could take care of myself. That’s a foolish way to think, and as you can imagine, I had a lot to learn. Thankfully, Meredith and Eve helped me turn back to the Lord and accept his forgiveness and love. I now know that if I put Him first, everything else falls into place. God is the Divine Creator. He fashioned all of us in His image and likeness. Man is inherently good, but we need to keep our eyes on Jesus. Once I accepted the Lord, I was overwhelmed with love for the Father, for Eve, the baby and especially for Meredith. Dessert? Apple pie a la mode. I’m patriotic and dedicated to the USA where dreams do come true. Mine did. I hope yours will too. Wealthy heiress Eve Townsend is close to death. But before she dies, she has to know: what happened to the daughter she gave up for adoption twenty-four years before? Did she inherit her mother's life-threatening disease? Medical researcher Pete Worth is ready to find answers by tracking her down. And when he finally locates Meredith Lassiter, he finds her widowed, pregnant and on the run. The smugglers who killed her husband want her dead…and Pete is the only one standing in their way. I’ve finally figured out what keeps me from approaching the next level of writing prowess. Time. Now I know what you’re thinking. Nobody has enough time, Dana. Get real. We’re all working, parenting, serving in church, tending to life’s daily tasks, etc. True enough, but I have come to the realization that I purposefully fill my life with so much business I don’t have time to think. I don’t mean time to plot, write a synopsis and the like, I mean time to really think about what moves me, bothers me, alters the world around me at any given moment. Yes, I make time for my morning devotional but then I’m off like a scalded cat, running hither and yon with no time for reflection. Are my tasks important? Probably. Are they as important as sitting down and really thinking about my purpose and passion in God’s world? Nope. It stands to reason that if I don’t take the time to listen to the tides of life go by, those tides will not wash over my writing and make it all that it could be. They will be words well crafted, and plots that engage, but will they really move people? If I made more time in my day and in my life to think, what would I hear? A strong call to move in a direction I haven’t contemplated? A revelation that someone nearby needs me? I only hope that I can step off the endlessly spinning wheel I have created for myself long enough to give it a try. Our pastor has been giving a series of messengers on survival and applying what God’s word says about how to survive in the world we live in today. Now my pastor is a military brat and grew up on army bases in the United States and Germany. One Saturday night (we have multiple services and we like the Saturday night service) he had a couple of boxes on the audio speakers on stage. They were munitions boxes in which he kept his marbles as a kid. (My husband recognized those boxes immediately since he was a munitions officer in the Army.) Pastor talked about how valuable those marbles were to him as a child, but now they were stored in the attic. His point was what is valuable today might not be what is valuable to you in 20 years, so if we live by God’s principals, they will last for eternity. Every Saturday night what Pastor preaches on, God nudges me and says, that’s a point you need to use in your story. Sometimes Pastor uses military training to apply to spiritual laws. The other night, he talked about how in survival training, soldiers are taught how to handle crises situations and how the army puts them into those situations so when it occurs in the field, they can fall back on what they have learned. Pastor’s point was decided in advance how you will handle pressure-filled moments. God works in such wonderful ways. His creativity is so wonderful to tap into and it is amazing where you find it. Most of my heros are either in the miliatry or cops. Having a pastor who speaks to my heart is amazing. If you ever watch a cat in action, you can learn how to write suspense. 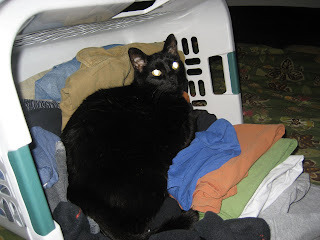 Cats are notorious for lurking about, missing in action, or just hiding for hours on end. has taught me a lot about plotting. jump out and scare me, so I know what it might be like to think a prowler was in my house. She also likes to wake me up in the middle of the night with a mournful wail, because she wants water out of the bathroom sink. So I know the feeling of hearing something sinister howling in the dark. She also knows how to alert when she hears a noise, so I can understand being alert in a tense situation. I've learned a lot from my cat. She will chase anything, whether she can catch it or not. And she will run really fast when she is being chased. Now that summer is here and we have May flowers, Cujo likes to lounge out on the patio and sneak drinks of water from the pool. She stalks birds, squirrels and even the rabbit that comes to visit each spring. She has taught me patience, how to be stealth and silent and how to attack without notice--all things I can use in my writing. But she's also taught me to laugh, to cry, to run in the wind and to snuggle up in a cozy chair when it's stormy outside. She's shown me the coolness of a hero and the sassiness of a heroine. I never know what to expect with Cujo. And that's the way I want my readers to feel--as if they can't wait to find out what's around the corner. If you want to learn about suspense, just watch a cat. And think like a cat, too. That should do the trick. Next Sunday, May 17th, I’m going to have the pleasure of driving up to the Blue Ridge Mountains and attending the Blue Ridge Mountains Christian Writers Conference. Each year author, agents, editors and pre-pubbed authors gather to worship the Lord, pitch stories, and hopefully find this is the year their dreams start coming true. This conference has a special place in my heart. It was the very first one I attended back in 2002. I have a lot of wonderful memories from that conference. I met several agents, made new friends and developed a love for being around other writers, the only people who understand how my crazy writing brain works! LOL. One special memory I have is when I gathered up the courage to approach a well-known agent and hand over my work. This was so hard! I mean it’s one thing to let my mother read it, but quite another to let an actual, real live agent read it. I’d never queried anyone even though I’d done my homework on the process. I’d had only two rejections. One from Multnomah and one from Steeple Hill’s Krista Stroever. So, as I went into the conference I knew I needed to have a tough skin. The agent looked over my writing, blew out a sigh and said, “Well, this is actually pretty good.” My hopes soared. He handed the manuscript back to me. “I’m probably going to regret this, but I don’t take on new authors.” My hopes crashed to the floor. And yet, later, as I thought back on it, I realized I had been paid a pretty high compliment from that agent. I wasn’t ready to be published even thought I wanted to be. The time wasn’t right. I went back to that conference several times over the next five years and took classes, honed my craft, worked on every aspect of writing I could and in 2007 got the THE CALL. This year I’m going back as a published author. I’m not teaching, but I’m taking a couple of classes. I get to mingle with fellow authors and praise the God I love in the praise and worship sessions. What about you? Do you go to conferences? Do you have a special memory from one that you’d like to share? Come on! Tell us! The single mother hasn't been found. And all her daughter, Sarah, has is her uncle. Clueless at parenting, Clint Herald seeks a loving, responsible nanny. What he finds instead is a stranger as mysterious as his sister's disappearance. Mandy Erick is secretive and seems scared, yet she's so good with Sarah that Clint can't help but trust her. In fact, he even enters Mandy in the town's Mother of the Year contest. But attention is the last thing Mandy wants. Her time in the public eye may prove just as dangerous as she fears. If you read Wednesday's post, you'll see a common theme with different applications. One thing I've learned is that little in my life ever falls in one category. God often uses lessons from one to teach me principles that can be applied in other areas. 1) Be prepared. Eric didn't know that the T-ball game would be canceled, but it was. He ran 10 miles without training, but imagine what he could have done if he'd kept up with it -- even on a reduced basis. 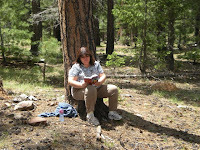 Read books, join organizations like ACFW, and hone your craft. You never know when an editor or agent will want to look at your writing. Will it be ready? 2) Stick with it. I did not want to run the mini. By Friday and Saturday morning I'd about talked myself out of it. Now, I can't wait to sign up for my next one -- though I still have no desire to run a marathon! I could have talked myself out of it -- after training since January. But sometimes we have to stick our heads down and do the work. Write 500 words a day consistently and at the end of a year you'll have a book. The reward can come from that alone. 3) Live in community. If we didn't have a community, we wouldn't have had anyone who was ready and willing to step in and help with the kids. Join ACFW, a local writing group, or online crit group. When with others you'll learn more about writing, form fast friendships, and develop the community you'll need to write for the long term. 4) Walk a self-disciplined life. None of this would have been possible if I hadn't worked for 16 weeks to train. Running on days I wanted to and didn't. But as I ran day after day, I built up the base I needed to shave 5 minutes off my time from two years ago. My average mile pace dropped to 10:30! Now to hit 10 minutes a mile next time :-) In writing, it's by being disciplined and writing when I'm not sure I want to, that I over time write book after book. Friday afternoon, I drove to Huntsville, Alabama, with fellow Steeple Hill author and longtime GRW friend, Missy Tippens, for the Heart of Dixie Annual Readers Luncheon, on Saturday, May 2. Bigger and better than ever, this year 168 folks attended the event! Luncheon coordinator Kathy Bone, along with a great group of HOD writers, made the day one to remember. Louisville belle Annie Jones (above left) heads south for the luncheon each year. She and Writers Playground web mistress Marilyn Puett are old friends and get-together for the event. 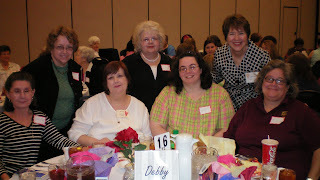 Missy and I had dinner with the Playground gals as well as other HOD members on Friday night. We sat at Vicki Lewis Thompson’s table and fell in love with her immediately. During her speech on Saturday, Vicki called herself an “introverted exhibitionist” and explained how the two sides of her personality often get her in trouble. 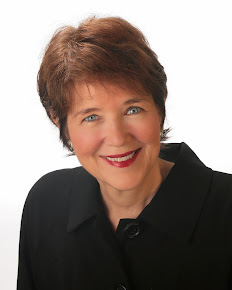 Vicki said, authors need to “shift somewhat as the market changes.” Today’s books have more action and a faster pace, but readers still love a strong Alpha Hero. Vicki and I posed for the photo below before she gave her speech. This year, I donated a beach basket for the author drawing and Dana Crosslin (below right) was the winner. Hope you enjoy all the goodies, Dana! 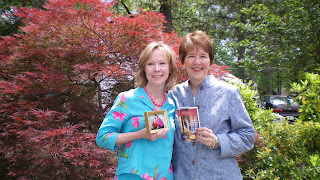 Missy (R) and I met up with fellow Steeple Hill author Ramona Richards (L) for this photo. So good to see you, Ramona! 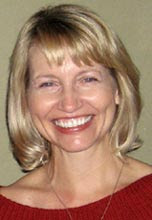 Linda Howard received the Heart of Dixie Mentor of the Year Award. Thanks, Danniela, for snapping this fun shot of me with Linda Howard (L) and Linda Winstead Jones (R). Here’s a picture of Luncheon Coordinator Kathy Bone (R) and HOD writer Sherry Werth (L) looking so cute! I bet Kathy was breathing a sigh of relief to have another successful luncheon in the bag! Lots of the Birmingham Southern Magic writers attended in support of Christy Reese who’s debut RESCUE ME is out this month. 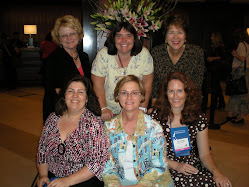 GRW member Trish Milburn came down from Nashville, and we had our picture taken (below) before lunch. I want to give a shout out to Melanie Dickerson and Julia Muscari, Dianne Hart and Anita Hart, who were at the luncheon and made a point to say hello! Always good to see you! If you’ve never been to a HOD Readers Luncheon, you’ve missed something special. Plan to attend next year’s event, May 15, 2010, when Julia London will be the speaker. I guarantee you’ll love every minute! is on sale May 12th. Ideas--where do they come from? I'm asked often, "Where do you get your ideas?" Hmmm. Good question. Hard to answer since having ideas for stories has never been a problem. I know other writers struggle to come up with stories but not me. I have stacks of spiralbound notebooks full of ideas ranging from historical romance novels, tons of suspense and thrillers, contemporary romances and women's fiction. Now, you have to understand, I was extremely shy and reserved as a child to the point where I rarely talked unless I had to, but I was constantly telling myself stories. I was laughed at alot because I would wander around the play ground or be riding on the bus telling myself a story. Out loud. And sometimes would even act them out. My critique partners are quite amused when I start telling them ideas for a new story. I don't think I'll ever have time to write them all. You might wonder what sparks my stories--well, almost anything. I love to people watch and do the 'what if' game. I love to listen to real life stories and then tweak them. My second published novel was born from a story a co-worker of my husbands told him, who then told me. This woman had been in the park and saw some teens tossing a puppy around. She gave them twenty bucks and rescued the pup. From that tidbit came A Sheltering Love. Sometimes I dream stories. I'll wake up and grab for the pen and paper before the story leaves my head. My book A Time of Hope came to me this way. I dreamt the opening scene where the hero and heroine met. Sometimes I will have a character first and then build a story around the character. The book I'm currently working on, which will be out sometime in 2010, started that way. 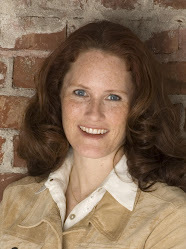 The heroine was a secondary character in my upcoming November 2009, Chasing Shadows. I decided to take her on vacation. But she doesn't vacation well and finds danger instead. Sometimes as I'm writing the plot will take turns I hadn't seen coming. That's always fun. In Chasing Shadows I thought I knew who the villian was but by the end I was taken completely by surprise because it wasn't who I'd planned on. So exciting! It's time for a new book. This, of course, requires a visit to the library. During my grade school years, the library was a special place for me. It's where I devoured the Betsy books. It's where, when I couldn't find the last Laura Ingall's book, I finally located it (the one written by her daughter Rose. Apparently, it doesn't count as one of the set.) In college, the library handed over all its Kurt Vonneguts and Marrian Zimmer Bradleys'. I don't go to the library much anymore, so I'm to blame (somewhat) for what I'm about to rant about. See, I'm starting my new books. My hero is a zookeeper. Yeah, I did all the Internet things, but there's something about immersing myself in a book that gives me a feel for my character. I leave kiddo with hubby and take off for my neighborhood library (The one I help support because I always return books late and get fines). It's been awhile since I've explored the aisles. Hmmm, the study rooms have been moved. Okay. Oh, good, here are eight books. Eeek, they're heavy. Head for the check-out. Hmmm, so study rooms moved... check-out. Oh, no!!! Checkout is now automatic. Just like I can bypass the grocery checker, I can bypass the librarian. I can interface with a scanner. NONONONONONONO. My first library, in downtown Benson (really Omaha, Nebraska) was/is a brick building that, to me, during childhood had the most wonderful smell: the smell of books. The librarian there gave my mother her first library card so that I, age 7 and only allowed to check out I think 8 books, could check out 16: Eight on my card; eight on Mommy's card. It was the librarian there, when nothing how many books I checked out, suggested Beverly Cleary. It was a college librarian who turned me on to Kurt Vonnegut and Marian Bradley Zimmerman. And, here in Phoenix, where the libraries are not made of the grand red brick of Omaha's (I'm homesick! ), it was a librarian who helped me find No Roof But Heaven. The little machine that scans the book will never say: Oh, you're checking out James Herriot... you might also like... (And if it does, it will say it in that awful robot voice, or even worse, in that perfect Star Trek female voice) The little machine will never say: Good to see you again (And if it does, it's printed on the receipt I'll lose before I even dump the books on the passenger seat of my car). "Sniff." I like librarians. I like them to be human. Please, get rid of the machine or at least half the machines. All that New York City cop Jude Sinclair wants is to get back on his feet, fighting crime. And as long as he's stuck recuperating in Virginia, he's going to make everyone as miserable as he is. But health aide Lacey Carmichael refuses to run away. Sweet, optimistic and beautiful, she's everything Jude won't allow himself to need. Because danger has followed Jude all the way from New York. And with everyone around him at risk, it'll take everything Jude's got to do his duty, and to keep Lacey safe. First off let me say, Happy Birthday Ramona Richards! Today I'd like to talk about foreshadowing suspense. While watching movies, every time I see the camera linger a nanosecond too long on a character who picks up a knife to cut vegetables I automatically assume that knife is going to be used to kill or maim someone somewhere down the road. My kids hate watching TV with me because I'm always compelled to comment on it. I usually get the rolled eyes and a "Just watch the movie, ma!" I can't help it. I love to dissect good suspense movies and a good suspense always uses good foreshadowing technique. Why is foreshadowing important? Easy. While we love to be surprised by something unexpected, some twist we never saw coming, it's too easy for that surprise to jar us out of the story with questions of whether it is believable. Foreshadowing clues and motivation for the characters in your story is integral to making the scene believable. A good twist requires the author to drop hints along the way so when you ARE surprised by the twist of events because you never saw it coming, you're also thinking it's totally believable because the evidence was there all along. Foreshadowing can come in the way of clues, i.e. the knife in the kitchen or in character motivation. When we make our characters do something out of the ordinary, we need to foreshadow the motivation of why they would behave that way. My favorite example is the scream on the other side of a locked door. Most people would hear that scream and run the other way and call 911. Some people would knock on the door and ask if the person who screamed is all right. But what if you want your character to knock down the door and go inside? If they do, you need to drop clues earlier in the story to show why the character would take that action rather than just simply call 911. M Knight Shyamalan does foreshadowing well in his movies. How many of you were blown away when Bruce Willis turned out to be one of the dead people the little boy sees in The Sixth Sense? I know I was. And yet when it happened, it all made sense because it was foreshadowed throughout the movie. What books can you think of that foreshadow suspense well? Is there a book you've read recently where you thought the story was headed in one direction and then BAM you never saw the twist coming and yet it all made sense when it did? I love a good read let me know. Remember, if you post a comment you'll be in the running to win 4 FREE Love Inspired Suspense books.